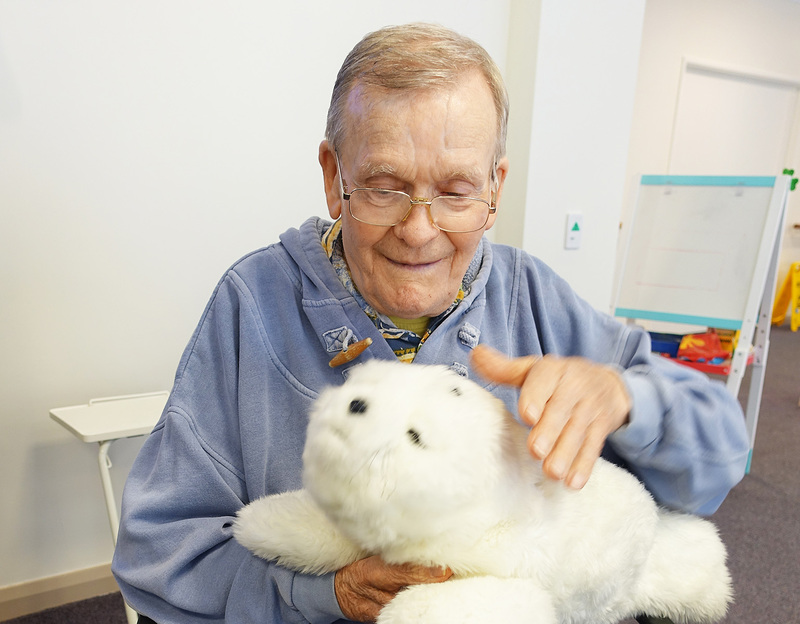 Baptistcare has been trialling the use of a robotic baby harp seal to assist people living with dementia experience a greater sense of relaxation. The initial trial was conducted at Baptistcare’s Gracehaven residential facility in Rockingham with a focus on residents in their memory support houses with plans in place to trial the technology at other Baptistcare facilities in the near future. Paro is an advanced interactive robot, developed in Japan in 2003 and certified by Guinness World Records as the world’s most therapeutic robot. It has been found to reduce stress, improve relaxation and motivation by responding to touch and audio signals, stimulating interaction between the person with dementia and their care-givers. Through interaction with people, Paro can learn to behave in a way that the user prefers and responds as if it is alive, moving its head and legs, and making sounds. It is widely used in care settings in Japan and in Europe. Thomas Woodage, Residential Care Manager at Baptistcare Gracehaven, who supervised the trial, said that Paro had a noticeably calming effect on residents with cognitive disorders associated with dementia.